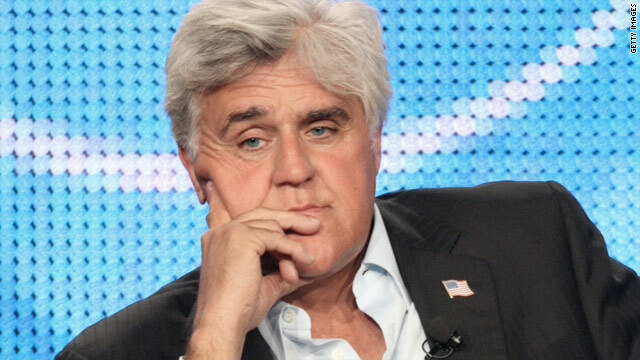 The fate of "The Jay Leno Show" is still undetermined. (CNN) -- It's unlikely that NBC will lay down any final edicts about the fate of "The Jay Leno Show" before the start of the Television Critics Association's press tour on Sunday, but one thing is certain: NBC only made a bad situation worse by moving the late-night host to prime time instead of investing in scripted shows. "Nobody's happy -- the talent isn't happy, the advertisers aren't happy and the audience isn't happy," said Mediaweek's Marc Berman of NBC's shakeup. The network's "prime time has been down for several years, but to take five hours of your schedule and commit to something that's unproven is a suicide mission." The other issue wasn't just the scheduling, Berman said, but also that "The Jay Leno Show" hasn't been a good show. "It didn't seem funny, fresh or unique -- it was stale from the get-go," he said. "I've honestly never seen anything this bad in the history of television." There have been doubts about "Leno" ever since it was announced that NBC would scrap scripted programming in the 10 p.m. time slot in favor of a five-day-per-week broadcast, with most expecting low ratings -- including the network itself. "As we have said all along, Jay's show has performed exactly as we anticipated on the network," said NBC spokesperson Rebecca Marks in a response that debunked rumors of a "Leno" cancellation on Thursday. But regardless of the suspicions, the network didn't have much to lose -- other than more money. Before the prime time move, the network was in the "same place they are now, in fourth place," said The Hollywood Reporter's James Hibberd. "None of the shows were working, but the one thing that was working was Leno." NBC figured that if Leno pulled the same ratings as he did on "The Tonight Show," everything would be fine, Hibberd said. Leno did that, with a nightly average of 5 million viewers. But, Hibberd said, even if it's true that the network didn't expect higher prime time ratings, the other problem is that it "ignored a whole host of other issues, [like] 'what's this going to do to our relationship with our creative community,' and 'how will this affect our affiliates.' "
The affiliates are at the root of the debacle, analysts said. Leno's unsteady ratings weren't as much of an issue for the network as they were for the nightly news programs that Leno leads into. Leno's show has "presented some issues for our affiliates," NBC's Marks said. "Both Jay and the show are committed to working closely with them to find ways to improve the performance." Media analysts have tossed around theories since the rumors started about what NBC would do with its two late-night hosts. There is the rumor that Leno will move back to his old time slot at 11:35 and stick around for an hour, cutting into Conan O'Brien's show or pushing him off the network entirely. Then there's the rumor that Leno will do a half-hour segment at 11:35, leaving O'Brien with "The Tonight Show with Conan O'Brien" at 12:05. But even if that does happen, there are no guarantees that NBC can regain its former standing as the top destination for late-night shows. "Right now, they've got nothing. They're just rearranging the deck chairs," said Bill Gorman of TVByTheNumbers.com. "For NBC, the overall perspective [would be] no improvement. They've got nothing to replace those five hours with that's noticeably better," Gorman said. But "from the affiliate's perspective, [NBC] listened to them. That's really the only thing that's happening here is that the affiliates are being placated by action. Whether or not it will really help, we don't know." While Hibberd believes that NBC has a chance to re-establish late-night dominance by pushing Leno back -- "it would open up 10 p.m. to do terribly or have the potential to do well; they're trying out 18 pilots or so," he said. Berman isn't so optimistic. The problem with NBC is that it is focusing on the wrong thing, he said. Instead of scheduling talk shows during prime time, the network should be developing better scripted programming. "They were thinking that we have this person who dominates, so if we bring him to prime time, we'll save a ton of money," Berman said. "[But] if your main priority is just the financial, you're going to shoot yourself in the foot. They made a terrible mistake and they're going to have to live with the consequences." For Berman, the key isn't putzing around with Leno and late-night, but to reinvest in scripted dramas and stop relying on cult favorites like "30 Rock" to bring in viewers. "They need to tap into the country and get universal appeal; go back to 'The Cosby Show' -- a family with cute kids," Berman said. "Something simple, something funny and something that we can all relate to."